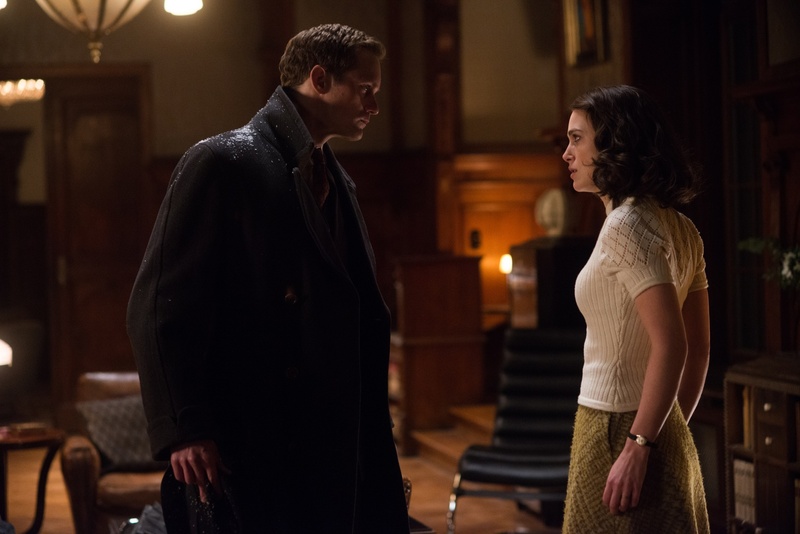 Alexander Skarsgård (left) stars as Stephen and Keira Knightley (right) stars as Rachael in “The Aftermath” (2019), directed by James Kent. Love, passion, and betrayal come together in the incredibly sluggish and hackneyed story better suited for a soap opera in director James Kent’s “The Aftermath,” about a woman, her husband, and a widower struggling to live together in a post-World War II Germany. Keira Knightley stars as the troubled and lonely wife Rachael Morgan, whose husband, British colonel Lewis Morgan (Jason Clarke), is too engrossed sympathizing with the destitute Germans to spend time with his wife. Enter Stefan Lubert (Alexander Skarsgård), a widower and the former owner of the house into which Rachael and Lewis move. When Lewis travels for work and leaves Rachael alone with Lubert for a couple of days, sparks fly and emotions run wild as the two seemingly find happiness in each other’s arms. It’s a short-lived affair, though, and the supposedly happy ending is instead confusing and dissatisfying. The love story is not as intense or thrilling as it should be, but is weighed down by superficial characters and a tedious plot that fails to take advantage of its historical backdrop. Ultimately the film becomes an overly dramatic and shallow tale of a romance gone wrong. The lackluster character development is the true failing of “The Aftermath.” Rachael, the center of the movie, was the most disappointing of all. Despite Knightley’s attempts at conveying Rachael’s volatile emotions, Rachael doesn’t effectively invoke sympathy in the viewer. Rachael’s character was not only predictable and shallow, but also stale and uninspiring, which her affair with Lubert exemplifies. The audience can tell right when the tall and handsome Lubert glances at Rachael from his window that they are bound to have an affair. But from the smoldering stares to the long, silent pauses, just about every interaction they have feels scripted. What little chemistry the actors have is lost in the awfully stilted script, and nothing points to this fact better than their first kiss, when Lubert forcefully kisses Rachael as they argue about a painting he put up. The awkward development of the affair was not the only badly scripted aspect of the story. Most of what the main characters do and say seems obvious. Lubert is the good German, who of course was never part of the Nazi Party and who falls in love with Rachael. Lewis is the kind, morally righteous, sympathetic British soldier, whose benevolence is underscored by the cruelty of his fellow officers; at one point, a commanding officer shoots a teenager who breaks away from the line, and Lewis rushes to save the dying German. Rachael, of course, is the unhappy woman who initially dislikes Germans but grows to empathize with them. The actors, particularly Clarke and Knightley, try their best to express the right emotion at the right time, but rather than driving the plot forward with their interactions and relationship, their overblown affectations make them the victims of the plot, performing each action and sentiment to keep the story moving. The most interesting aspect of the film is the time period in which the story takes place. It is set in the ruins of Hamburg, Germany after the war, with a focus on German resentment towards the British and cruelty during the British occupation. The strained relationship between the Germans and the British, humiliation, and gratitude were some themes that emerge in some of the more serious parts of the movie. However, Kent ends up dabbling in every aspect of postwar Germany possible and subsequently shoves these potentially-enriching subjects to the side as soon as they serve the purpose of either showing how morally upright one character is or serving as plot devices to advance the love triangle. Kent tries to do too much and accomplishes little as a result. What starts off as a potentially insightful film about love in a postwar world turns into a glorified soap opera that sings a familiar tune. There is nothing new to “The Aftermath”; even the specificity of the time period couldn’t make up for the film’s routine love story and Knightley and Skarsgård's lack of chemistry. Kent complicates the supposedly happy ending in what is perhaps the most obvious manifestation of the film’s flaws, leaving nothing but a bad yet forgettable aftertaste.